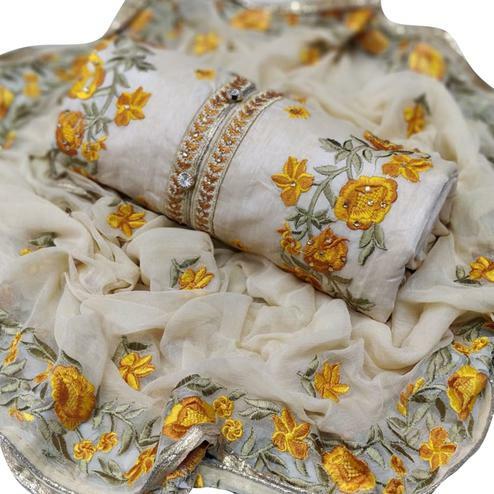 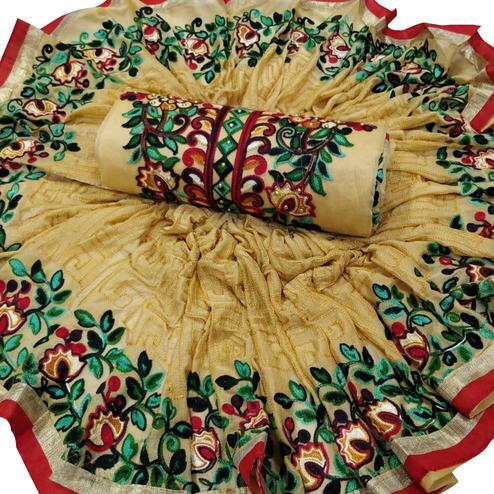 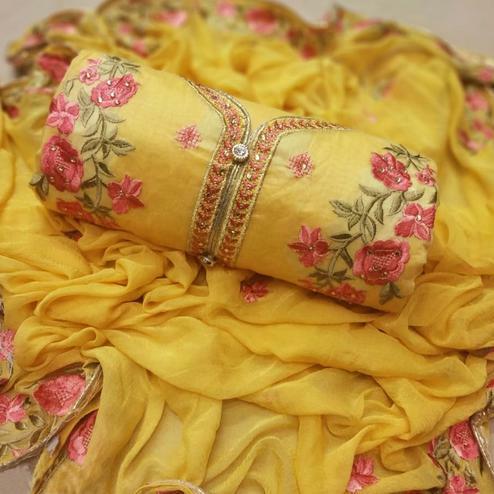 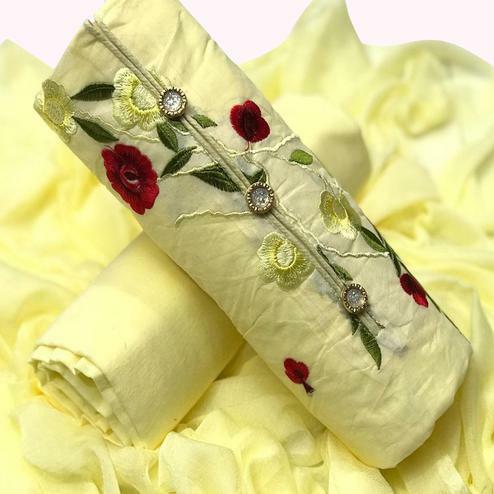 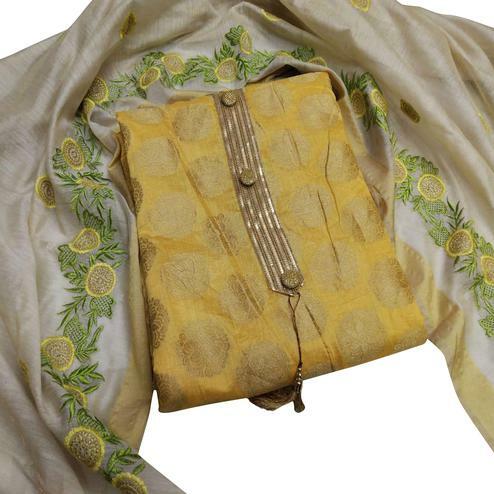 Peachmode has an enchanting assemblage of yellow salwar kameez for ladies. 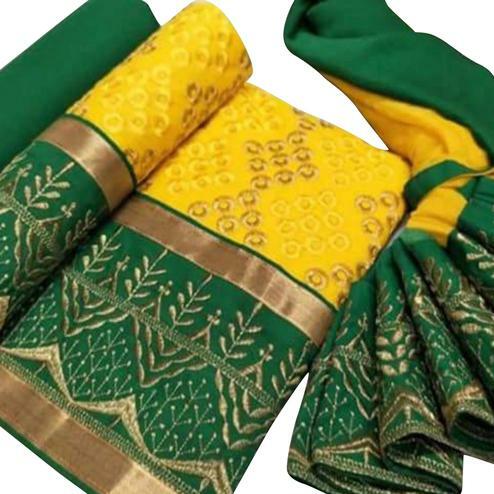 These are styled keeping in mind all the grades and variations of the latest trends to have you at par with the fashionistas. 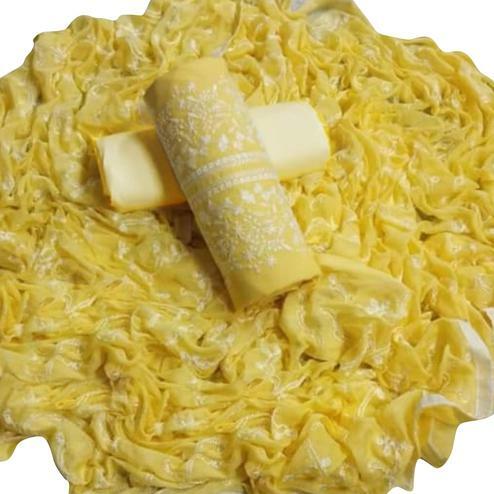 The color yellow happens to be the most visible color to the human eye of the color spectrum. 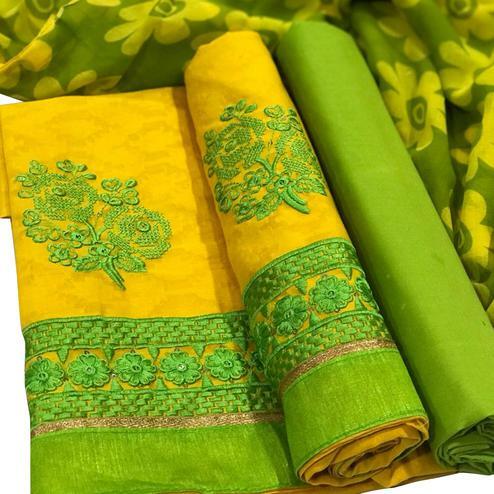 This color is a happy color. 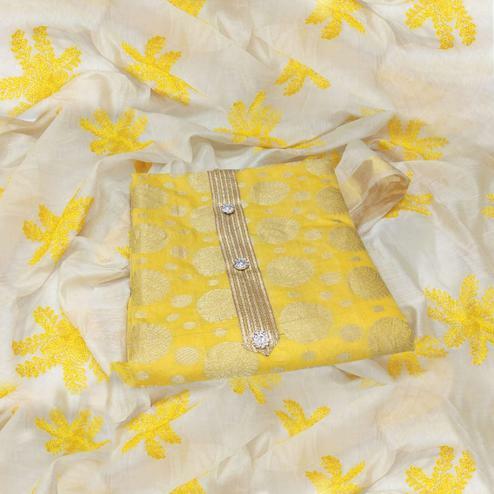 Full of positivity and optimism, this color instinctively brightens up your mood. 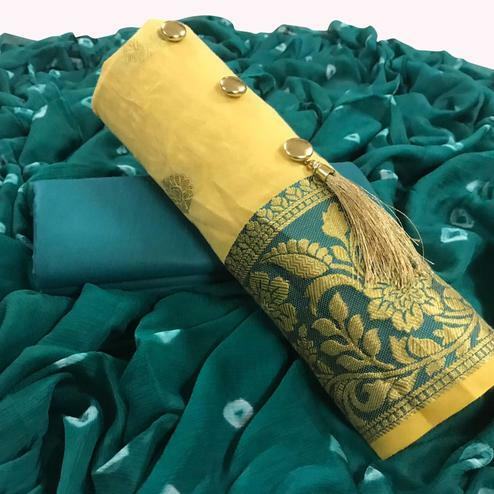 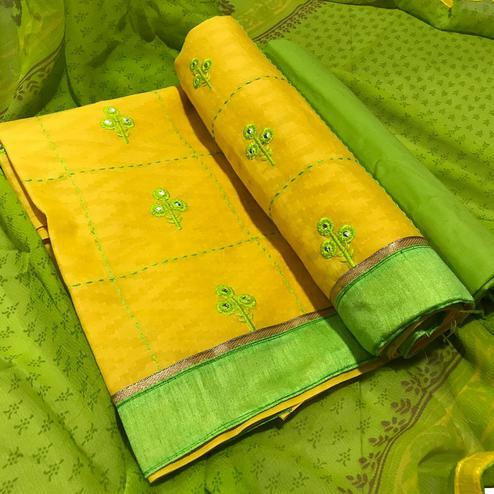 Also considered a very auspicious color in our tradition, this marks the beginning of the wedding festivities and rituals and puja ceremonies. 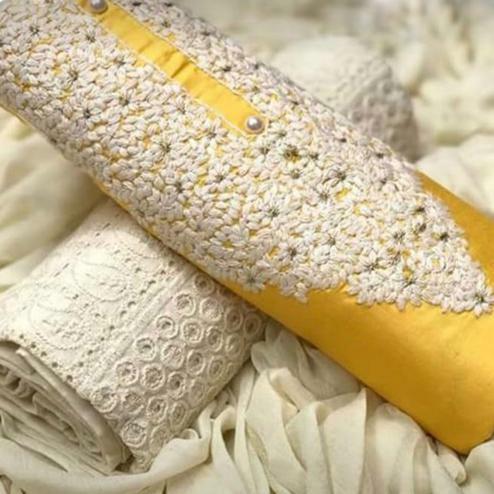 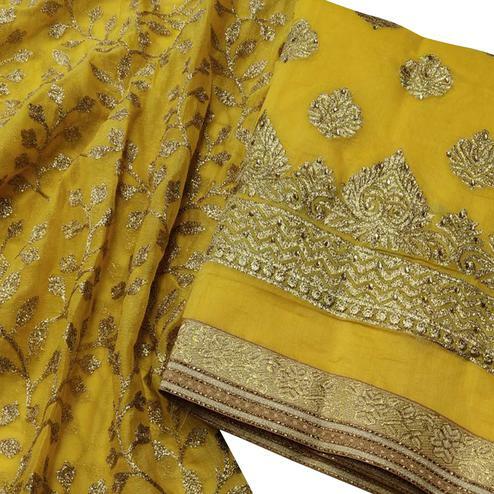 Also a very spiritual and enlightening color, yellow is very effective when you want to have a calming effect and increase your concentration. 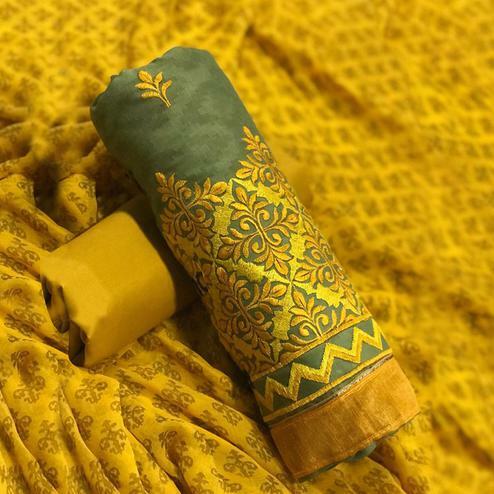 Peachmode’s yellow salwar suits come in diverse fabric options like crepe, leon, cotton, chanderi cotton, glass cotton, cotton jacquard, muslin cotton, cambric cotton, rayon, jacquard, modal fabric, semi modal, chanderi silk, tapetta silk, cotton silk, Banglori silk, georgette, faux georgette- you name it and we have the most beautiful yellow salwar suit combination for you. 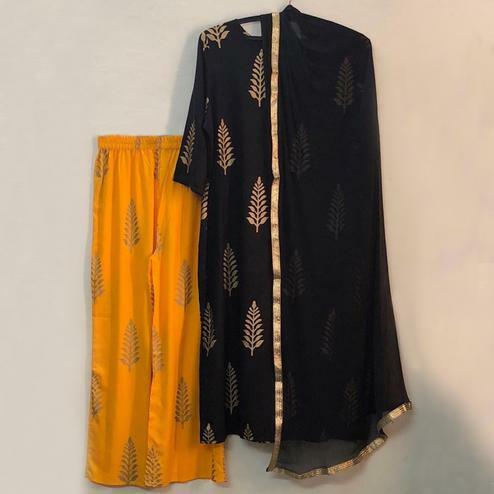 These remarkably modulated salwar suit designs come in the varieties of digital prints, abstract prints, stone work, mirror work, embroidery, floral embroidery, detailed leaf embroidery, floral motifs, bandhani prints, button plackets, dhaga handwork, shimmered border work, checkered designs and numerous other attractive patterns. 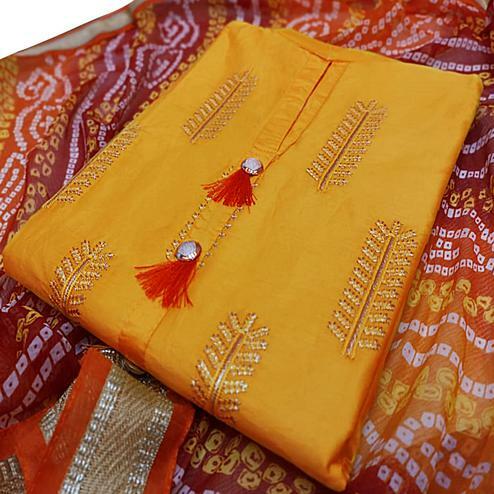 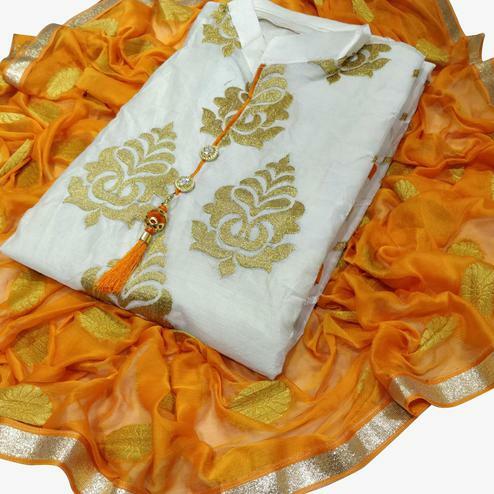 At Peachmode, you’ll find the prefect yellow salwar suits for haldi which are traditional yet contemporary. 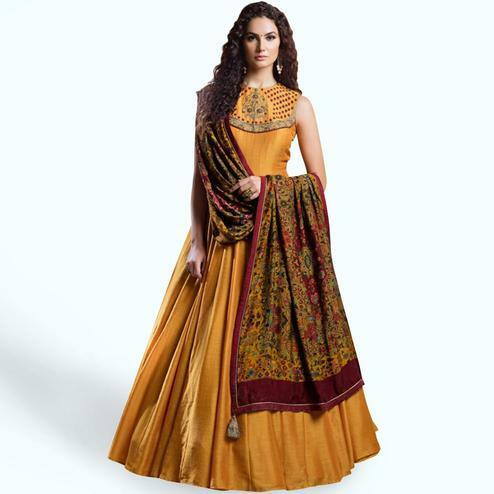 You can go for our anarkali and gown style yellow suits if you wish to adorn your outfit the ethnic way. 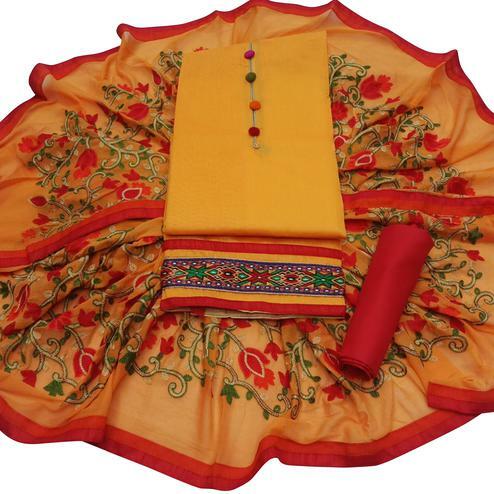 These yellow salwar suits come in attractive color combinations of pink, peach, green, red, white, black., brown and many more colors of the palette. 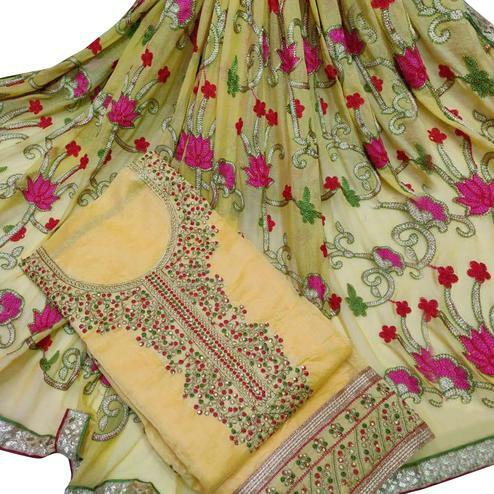 Our yellow and pink combination salwar kameez and green and yellow suit combination are a must have in your closets! 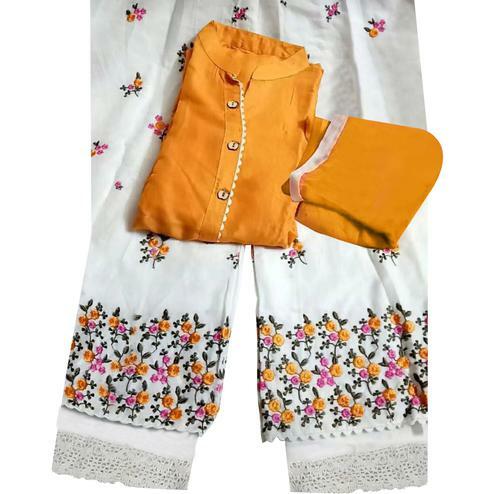 So don’t wait any further, get clicking on Peachmode and own these supremely beautiful yellow salwar suits at very affordable prices!